The monthly ArtSmart Roundtable brings together some of the best art-focused travel blogs to post on a common theme. This month we are discussing Death & Darkness! Take a look at all the creative interpretations of his topic at the bottom of the page. November 1 was All Saints Day which got me thinking about this pantheon of holy men and women. The Saints can be grouped based on their spiritual achievements, like the Scholars, Leaders, Mystics and the Martyrs. For frightening, chilling stories, Halloween’s monsters have nothing on this last group! While they are revered as holy people, the lives of these Saints contain some gruesome tales of torture and execution. Since images have historically been used to educate viewers, may of the most disturbing images in art history depict the various grisly deaths of the martyr Saints. The monthly ArtSmart Roundtable brings together some of the best art-focused travel blogs to post on a common theme. This month we are discussing Concepts in Art! Take a look at all the creative interpretations of his topic at the bottom of the page. Art museums are sometimes criticized for being stale and distant. Mill about, look at the pieces, and under no circumstances do you touch the art! 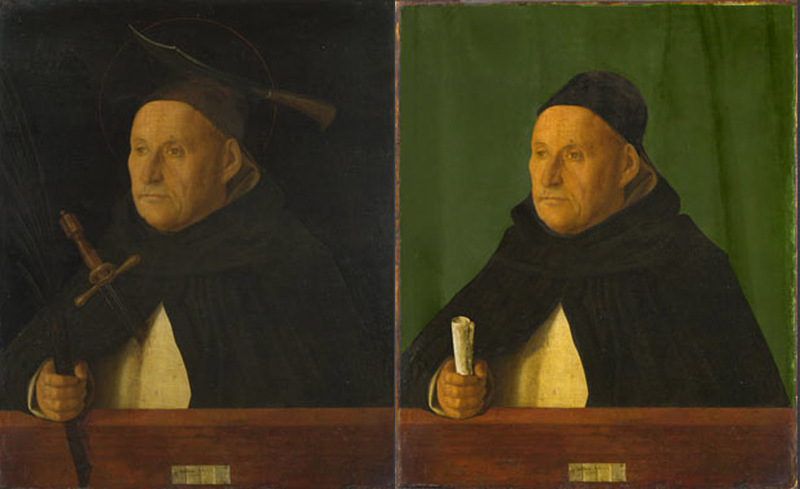 Paintings haven’t always received this degree of reverence. While today we analyze the artist’s intent and interpret the underlying meaning of the work, for centuries paintings we just decorations. Owners could change something as easily as we repaint a bookcase or substitute a bathroom light fixture. So today I want to think about the concept of “finished” art and what it means when paintings are changed by people other than the original artist. The monthly ArtSmart Roundtable brings together some of the best art-focused travel blogs to post on a common theme. This month we are discussing Fashion! Take a look at all the great stories at the bottom of the page. Peter the Great (1672 – 1725) is a legitimate candidate for the the Most Interesting Man in the World. Physically impressive at 6 foot 8 inches tall, he disregarded his royal status and sought out hands-on experience with the military, international trade, and sailing technology. Realizing this country needed an Atlantic shipping port, he planned and constructed St. Petersburg from absolutely nothing. Peter I’s reign was a revolutionary time for Russia; he brought the nation from medieval neglect to the Age of Enlightenment. Emblematic of the massive political and technological changes he made, Peter’s reforms included forcing Russians to completely update their wardrobe – which was not nearly as easy as it sounds. The monthly ArtSmart Roundtable brings together some of the best art-focused travel blogs to post on a common theme. This month we are discussing Water! Take a look at all the great stories at the bottom of the page. 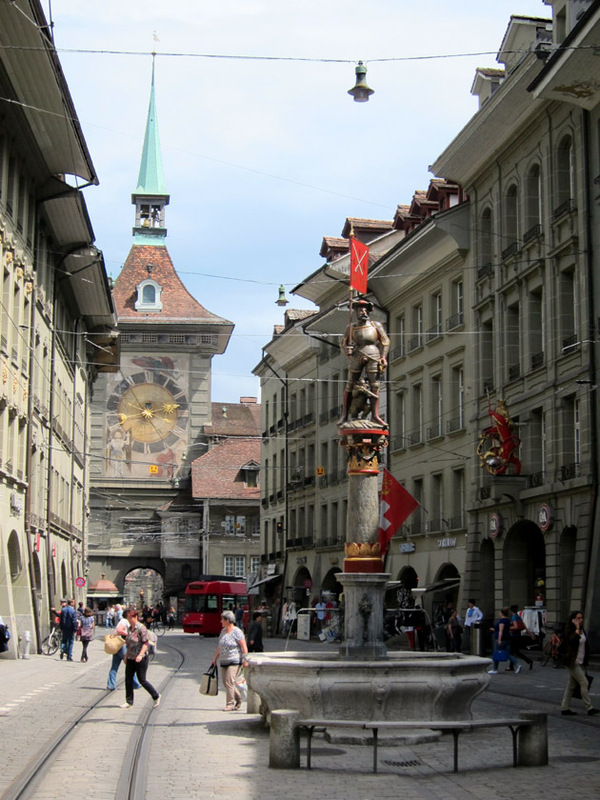 So you already know that Bern is a beautiful city. The well-preserved, historic center definitely earns this capital its UNESCO World Heritage designation. But what I didn’t describe in detail last time were the incredible fountains. These 16th century works of art add to the charm and atmosphere of the old town and are an integral part of the experience. The monthly ArtSmart Roundtable brings together some of the best art-focused travel blogs to post on a common theme. This month we are discussing Folklore! Take a look at all the great stories at the bottom of the page. Whether it was reading through the Iliad and Odyssey in school or seeing Brad Pitt as Achilles, we all know about Troy. This mythical fortress city conjures up images of fierce battle, epic warriors, beautiful Helen herself, and of course, one of the greatest tricks of all time, the magnificent Trojan Horse. Sometimes its easy to lump Troy in with Atlantis, the island of the Minotaur, or the lands of the Amazons – just fantasy places that serve as a setting for Greek mythology. But what do we really know about Troy? Along the northwest coast of Turkey are the archaeological remains of a city with walls that just might have been great enough to hold back the Athenian army and Achilles himself.